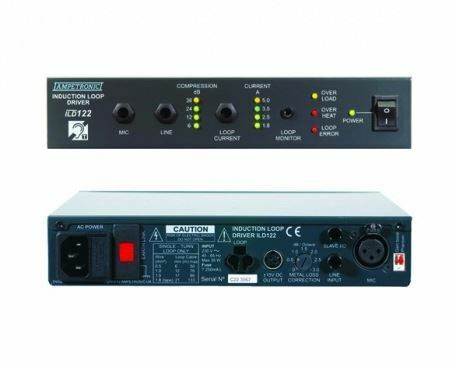 ILD122 Professional Rack Mountable Audio Induction Loop Driver, for areas up to 2,000 sq. ft. The ILD122 is a professional audio induction loop driver capable of driving loop areas in excess of 2,000 sq. ft. with an unsurpassed clarity of sound for both music and speech for superior intelligibility. Based on proven and highly reliable technology it is backed by an unrivalled 5 year warranty and free technical support. It boasts all the usual features found on Ampetronic equipment such as metal loss correction.